Melbourne’s leading buyer’s agents, fully licensed and independent, we locate and negotiate properties for you acting purely in your best interest. We focus on residential & investment properties, so you can be confident that all our time is spent researching the market that you are buying in. Our property buyers have extensive experience, superior negotiating skills and exclusive access to everything on the market, even silent listings, we offer buyers professional support and a truly competitive advantage. What’s the best suburb and property for you? Tailored to your budget and criteria, we match up and recommend Melbourne’s best real estate. You’re leveraging from our experience, choosing only the very best real estate on or off the market. Create a short list of the high growth properties. Our buyer’s agents have inspected thousands of properties over their career. Our trained eyes sift through the problem properties that can negatively impact your long-term capital growth. Discovery what the property is really worth. There is where we do all the due diligence on the property, provide a detailed report on what a comparable property’s have sold for and set a maximum, walk away budget for the property. Our advocates submit offers or bid at auction for you. This is where a buyers agent provides the most value. Though negotiation (auction or private treaty) we make sure you don’t over pay for the property. In most cases we save our clients tens of thousands of dollars. 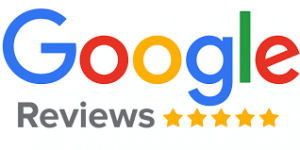 100% Satisfaction Guarantee – We want you to be completely satisfied with our service, if you are in any way dissatisfied, we will refund your money. Fully licensed real estate agents and proud members of REIV. You no longer need to deal with any real estate agents. We are 100% independent and don’t accept commissions from third parties. Ultimately, the people we service matter most. Our buyers agents are always happy to hear what our customers have to say and thought that we would share some customer comments with you. Whilst the buying process is often perceived as daunting and complex, a Wise Buyers Advocate / Buyer’s Agent will help you purchase a home with confidence. We will assist at every step from selecting a home, getting a market appraisal, negotiating or bidding at auctions and during the settlement process. Our Buyers Agents will spare you the uncertainty and emotional attachment which is associated with any auction process. We will be your own representative bidding on your behalf and relentlessly try to secure the property of your choice at the lowest possible price. The world of hiring buyers agents can be a tricky with unforeseen cost to the client. At WISE, our fee structure has no hidden surprises thats designed to work for you. More info on our fees. Fixed fees, no more to pay until a property is purchased. Save thousands of dollars on buyers agents fees, we don’t charge commissions, regardless of your budget. We offer you a 12 month contract to buy a property. You don’t pay if we don’t buy! We locate and negotiate investment properties at below market prices, then educate you on how to build and manage a strong and balanced property portfolio. Our buyers agents know some properties make better investments than others, that’s why we do the due diligence for you. We assist you with building inspections and conveyancers. We check zoning, proposed developments, strata reports, assess any easements, covenants and caveats that can impact the value of your property. Our aim is to get you the right property, for the right price, with the right terms. Check out our buyers agents service page for more info. What can my property achieve on the rental market? Prior to purchasing the property you will be aware of the value of the investment property and what it can return on a weekly basis in rent. You find the property and we negotiate! 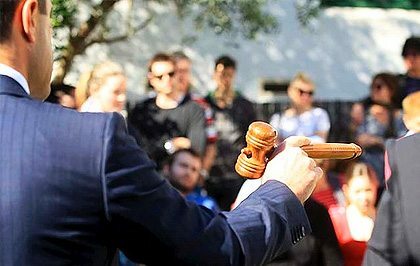 Buying a property can be stressful, leverage our wise experience and independent property negotiator or auction bidder to tip the scales in your favour. Our extensive investment experience will put you on the path to a portfolio without the headaches! Based on your goals our Independent Buyers Agents / Buyers advocates will find you the most suitable investment properties on the market, saving you time & money. Our wise advice can reduce risk and maximise your capital growth. Take the stress out of managing your sales campaign and achieve the highest sales price by using Melbournes best Vendor Advocacy service. As we are in the property market every day dealing with multiple sales agents, we can help you select the best local selling agent to sell your home. Our Wise buyer’s advocates have sorted through the abundance of daily property news to bring you the most relevant articles to Melbourne property market. From interest rate decisions to market speculation, you’ll find it here. Make a wise call and check out our Real Estate News page. 2nd Of February, 2019, By Mark Ribarsky. 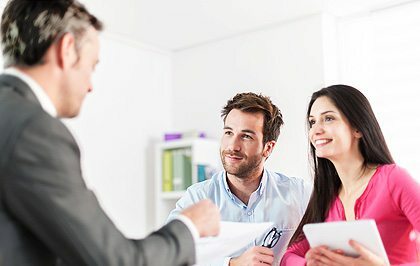 Can a buyers agent help me buy a better home? Here’s what you need to know about the pros & cons of using a buyers agent to buy property. 5th Of March, 2019, By Mark Ribarsky. Getting the right advice before starting your property investment portfolio is crucial, we look at who can add value to your investment journey. Most buyers make mistakes that cost allot of money. Our buyers agents give you some wise advice on avoiding the pit falls of buying property.